Who is making progress on her new years resolution to-do list? This girl. yeah! One of the things on my list was to finish up my bedroom. 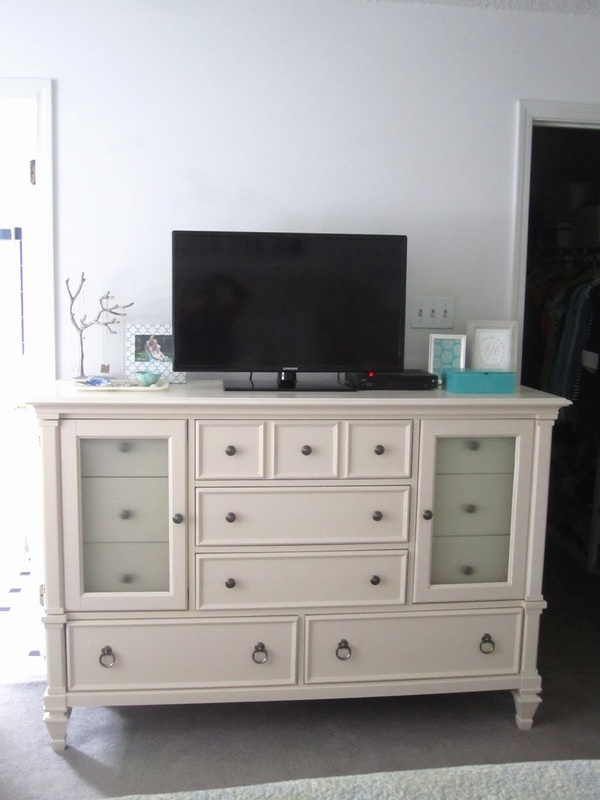 The bedroom is, overall, in great shape but it needed some finishing touches: hang more pictures, organize the books and magazines, style the tops of the dresser and nightstands and hang (and first paint) a mirror. And ... done! I have to say: I love my bedroom. 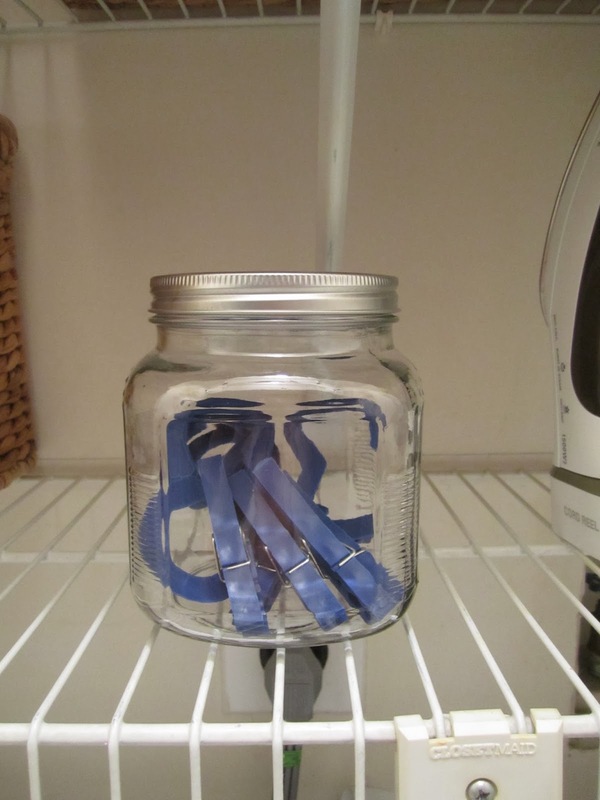 It is painted a great shade of white and has a huge window that lets in a ton of light. When I moved in, I took out the horrible paper shade that was covering the window and bought oversized blinds instead. I'll just leave them when I move. I hung a brushed nickel rod from Target and pretty white curtains from West Elm at the window and have hung some art around the space. The bedroom is very me - lots of white and soothing colors. The first area that needed some help was this corner where my painted chest is. The first thing I did to finish up the space was paint a mirror, which I blogged about recently. I found the mirror at Michael's on clearance for $10. I hated the finish on the frame, but I loved the size and the chunky weight of the frame. I knew I could just paint over it and it would be perfect. And it is! Here it is in its new space. I also brought in a triple frame from Pottery Barn for over the chest and put black and white pictures of the kids and me up there. I ended up buying a 10-frame set from Pottery Barn for my stairwell gallery wall and used this frame from that set in my bedroom. That pretty cream/white/ivory mosaic frame hides my white noise machine. I need my white noise machine to sleep and seriously you would have to pry it from my kung fu grip, but it's not the most attractive thing. So a little framed picture hides it just fine. I found the frame for $5 at the Christmas Tree Shops. All that's left in this spot is to refinish the jewelry box, which now sticks out like a very sore dark-wooden thumb coated in dark wood that I do not enjoy. I want to paint it white (shock!). I think I'll go with a chalk paint ... I am curious to try Home Depot's new brand of chalk paint. I'm thinking of using it on my dining room table so I think the jewelry box is a good place to test it out. Then I moved on to the tops of my nightstands and dresser. I started with the dresser. I took everything except the TV off of it and then got to work. The left side is where I keep a tray for the jewelry I wear all the time and the little necklace tree I use. I also added a picture of the kids and me - the frame was a steal last year from The Christmas Tree Shops. The right side has a card I found in Franklin, Tennessee that says "dream big darling" which I framed, a framed Susy Jack print and a really cool blue box I found at Home Goods. Done! 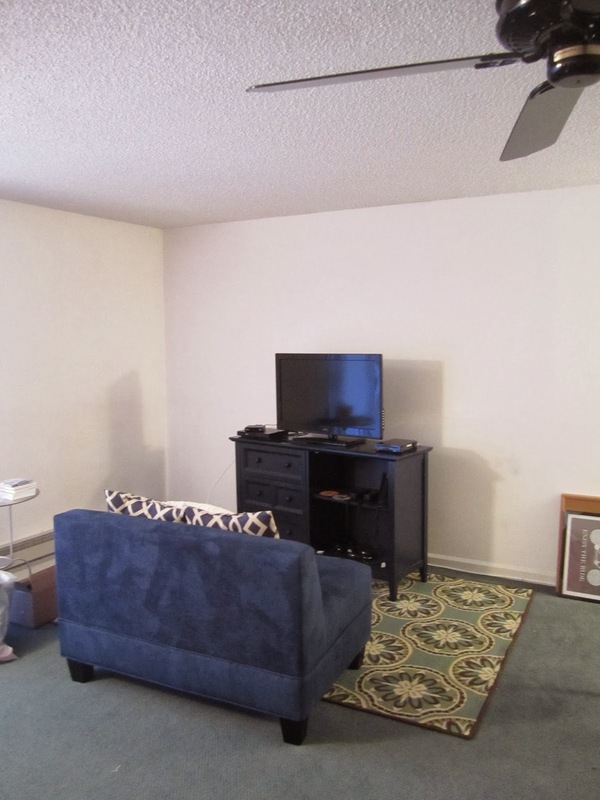 That big blank space over the TV needs something ... but I am not sure what. My nightstand: I just cleaned this up a bit. I added a framed picture of the kids and me and moved the stack of books to a basket on the floor. I found this cute little mercury glass floral thing at Pottery Barn Outlet for $12. I want a fancy, vintage looking glass for some water too. I saw one at The Christmas Tree Shops when Jamie and I were there and did not pick it up. Next time. The other nightstand: this one didn't need any real work. I kept all the photos and just arranged them a little better. Finally, I moved the basket that had been on my dresser and moved it next to my white chair. I put magazines in it and put all of my books in the basket next to the nightstand. And that's it! It didn't take very long to finish up the space and I am so glad I finally did -- all that's left is to paint the jewelry box (and to organize the contents - oh boy) and to hang something over my TV. Have a great weekend! Any good plans? I will be training (of course) and I have a trip to IKEA and Home Depot planned. Yes and yay. On Monday, I mentioned I ran the Frostbite Fiver Miler, a local race in Ambler, PA. I've done this race a number of times and I really love it. It's well organized, has a great course that is just challenging enough in February, is hugely popular so lots of people racing and terrific volunteers, not to mention it has a killer post-race spread. Another thing I love about this race is I can do a true apples-to-apples comparison of my performances each year and shoot for new, faster PRs. I ran it in 2012 in 42:28 (8:30 pace) and I ran it in 2013 in 40:51 (8:10 pace). This year, I had a pretty aggressive goal of around 38:30 (7:45 pace), but I really wanted to break into the 7 minute pace zone, even if that pace was 7:59. And ... I did! My time was 39:35, which is a 7:55 pace. I was 275 of 1258 runners, 73 of 641 women and 19 of 147 in my age group. I will take those stats please and thank you! My coach put together a race plan for me, which was to start out mile 1 around the pace I maintained last year (8:10), go a little faster in mile 2 and then around mile 2.5, just put the hammer down and really race. I knew the first mile thing would be next to impossible for me - I just cannot pull myself in at the beginning of a race. I tried ... I really did. I'll go over the splits soon. A word about conditions: in past years, this race has been really cold, but the course was clear. This year's race was freakishly warm: I think it was probably around 45 around race time! The problem? It had rained a lot the day before and temps dipped below freezing over night. So the roads, sidewalks, everything were completely ice covered in the morning. The race organizers were on it and salted as much as they could and delayed the start of the race by about 20 minutes. They also stuck a ton of volunteers at the stubborn icy/slushy spots and those volunteers were great about making sure runners were aware of the conditions and directed runners to the safe areas. By the time we raced, there were very few slick spots, which was great. The only downside to the delay was my timing for pre-race fueling was thrown off a bit. I should have eaten more before the race. I went with my standard pre-race breakfast, but I probably should have eaten a few more snacks. Around mile 1, my tummy was growling. But for 5 miles, I knew I could motor through. Now for the splits! Note: some of these are estimated because my Garmin was a good .1 mile fast, so the splits on my watch do not reflect my actual split time. Gah. The first two miles are pretty easy. They are both more downhill than anything so you can really pick up some good speed. Obviously, I could not slow myself down and my fastest mile was mile 1. I remember thinking after mile 2 when I saw that split that I might want to slow down a little, since unlike a 5K, I still had a good deal of the race to go. Mile 3 has a bunch of uphills so I slowed a bit. I was happy that my pace was in the 7s and I felt good and that I could maintain the pace I was running. I got a second wind in Mile 4. I started to get a little ahead of myself here - I was thinking how yes! I can totally hit my goal 7:45 pace! Womp womp womp. Here is where going out too fast bit me in the buttocks. Oh wow. I hit the Mile 4 sign and felt good. But then turned the corner to the last stretch and remembered the final mile is essentially one long gradual uphill to the finish. The climb is not that steep at all, but the increased effort that late in the race - in a race that I had been really racing hard - it caught up to me. I kept pushing and was not about to see anything but a 3 starting my final time. I pushed and pushed and crossed the finish very happy. 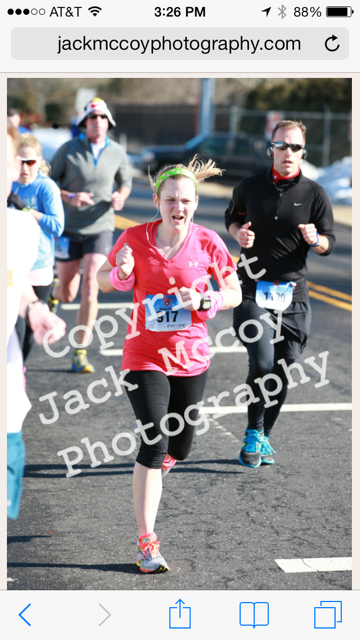 These pictures were taken with about a .1 mile to go. That's my fighting face. Oh, and I wasn't channeling my inner Bruce Jenner with the wrist bands. Those are my arm warmers rolled down. I also stuffed my gloves in them, so they are have bulges in them. I walked away from the race feeling super proud and spent. I would have liked to be a little faster, especially on that final mile, but I am so thrilled I broke the 40:00 barrier. I'll race this one again in 2015 and will run it even faster. Next race is the Philadelphia Love Run - a brand new half marathon at the end of March. I would love to beat my current PR of 1:50:50. Once that race is behind me, it's all triathlon, baby! I have three tris before Ironman: the same "Half-Lite" Devilman in May that I did last year and then two sprint tris (Upper Dublin and one I've not done but I hear is super hard: Black Bear). After Placid, I am definitely running the Philadelphia Rock & Roll Half Marathon and am pacing my friend Toya in her first half marathon and also running the Philadelphia Marathon and pacing my friend Heather in her first full! I'm nearly certain that I will register for the Steamtown Marathon in October too and try to qualify for Boston or at least come close. Racing and running are fun! Happy Monday everyone! I hope you had a good weekend. So, week 14. This week was a definite light week in terms of training: when I saw my schedule I thought surely my coach had made a mistake. No two-a-days, no bricks, mostly endurance pace, a 15 minute run??? No LT or tempo paces on the bike??? And I repeat: a 15 minute run??? If I'm being honest, the Type A in me was concerned that the week wasn't challenging enough, however, the normal person in me shut up the Type A and I wasn't about to complain because I had definitely been feeling a little tired the week before. And I know that once Spring gets here, training will get really intense. So I gathered my rosebuds whilst I may. Friday - 10 minute walk + 15 minute endurance run <-- not a typo. 15 minutes. really. It was really good to get back in the pool this week. 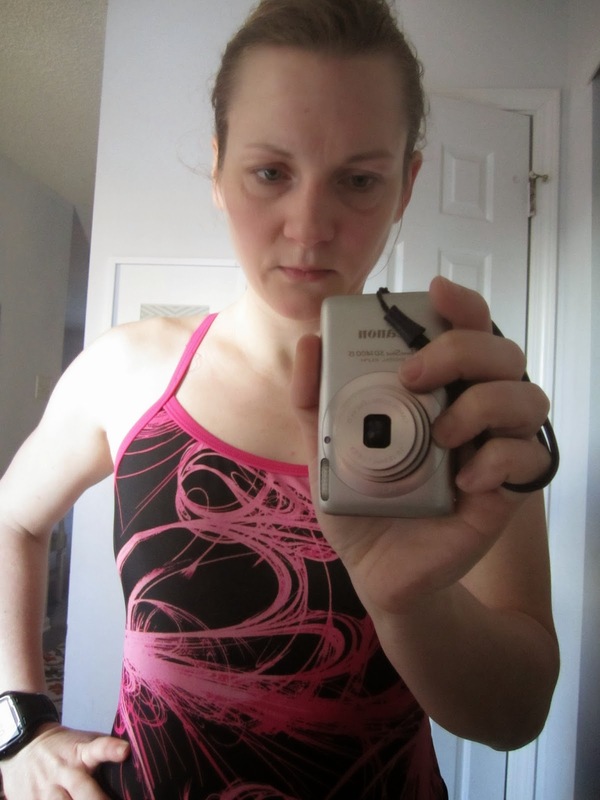 It was even better to have good strong swims again after my sluggish swim the week before. The Thursday swim is my favorite one: 400 yards easy, 100 yards fast, 200 easy and then 5x300 yards. It's enough variety that it keeps me happily swimming along and challenged. Monday's swim was fine too, but it has a bunch of 400 yard intervals, which I do not like. I'm not sure why, either. The 300s are fine. The 400s make me mad. Here I am after my Thursday swim. Note the lovely goggle hickeys around my eyes. And that's my favorite training suit I'm wearing. The 3 minute time trial on the bike was because we got our power meters and our coach needs the time trial data to set our power threshold. The 3 minute trial was not bad at all. I have a 20 minute time trial this week. Eeek. The rest of the week was geared toward my five mile race on Saturday. My 15 minute endurance run on Friday was easy and short and felt good. 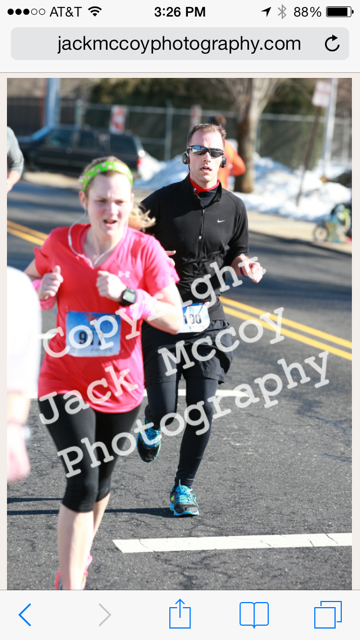 And Saturday's race was terrific. I nabbed a PR (though it was a hard effort). I'll recap the race on Wednesday ... but here is a picture of me after the race. Sunday was an easy bike ride - endurance pace for 70 minutes. This week is more aggressive and that's fine with me. I'm ready to go. I have two swims, a bunch of endurance runs, and some longer bikes. Good morning! Yay for Friday! I'm really excited to share today's post, only because I finally made real progress in the kids' playroom project. I'm not done - not even close - but I got started and that alone is big, big news. 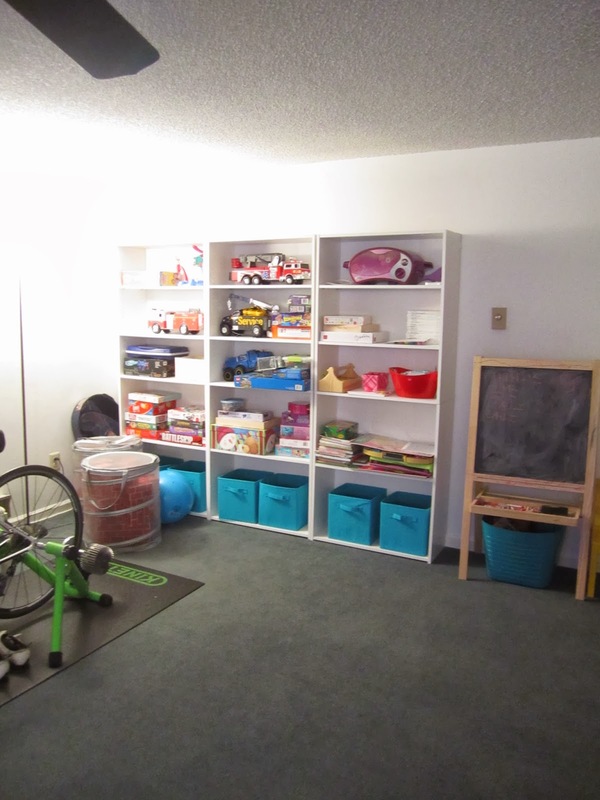 As part of my 2014 home resolutions, one of the biggest projects I wanted to tackle this year was to get the playroom in shape. 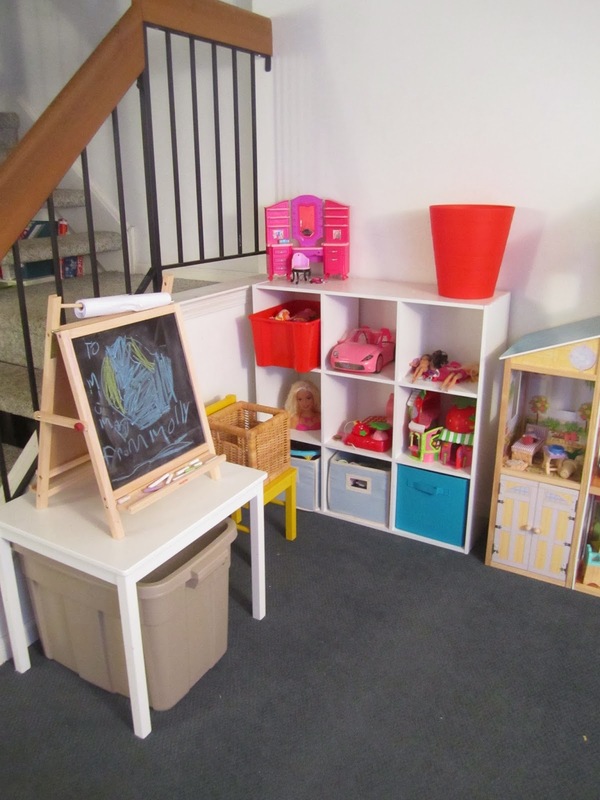 The playroom is a really great space on the lower level of my home: it's not a basement because it is ground level and has great light with a big sliding door to the brick patio. Here's a picture when I first moved in - and that's only about 1/3 of the room. This room is huge. I needed to hang stuff on the walls and make the room into a nice room rather than a random space. You can see why I put this off right? 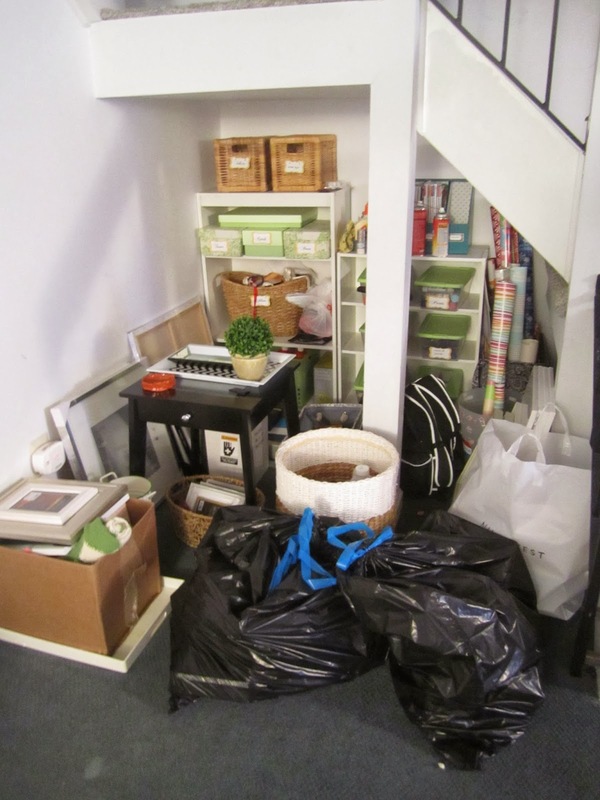 It was overwhelming, and I was dragging my feet primarily because I think I wanted an instant perfectly organized, Pinterest-worthy room, but I knew I had a lot of work to do to get there. So on [yet another] snow day when the kids were home, I got to work. One of the challenges of having a boy and a girl is that they are interested in completely different toys! 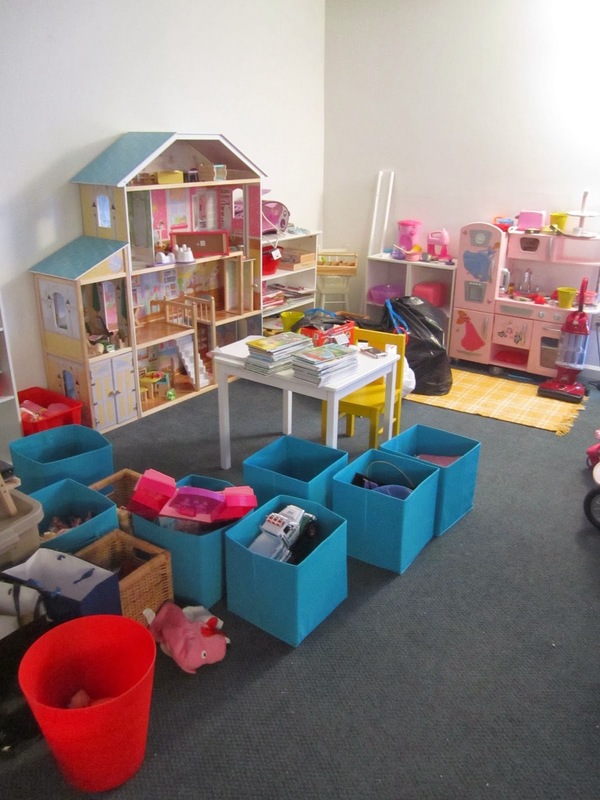 What I've done is assign each kid a section of the playroom: Little's area is in one spot and Big's is in another. Once the toys were edited down, I separated them into groups: Barbies, kitchen, cars & trucks, games, Lego, etc. Next, I built the two tall bookshelves that I've had for months. I bought these from Target over a couple of trips there. They are only about $30 each and I already had one in the room. I'm pretty impressed with these shelves - they're a lot cheaper than the "Billy" shelf from IKEA and just as easy to put together. The quality isn't quite as good as the Billy, but it's just fine for a kids' playroom. I moved the one shelf I had in the room and positioned it next to its two new friends to create a nice wall of bookshelves. I use "L-brackets" to mount the shelves to the wall so they don't tip over. I then filled the shelves. This is temporary - I pretty much just put the toys in the open spots and definitely will have to go back and do some real organizing. But it's a good start. 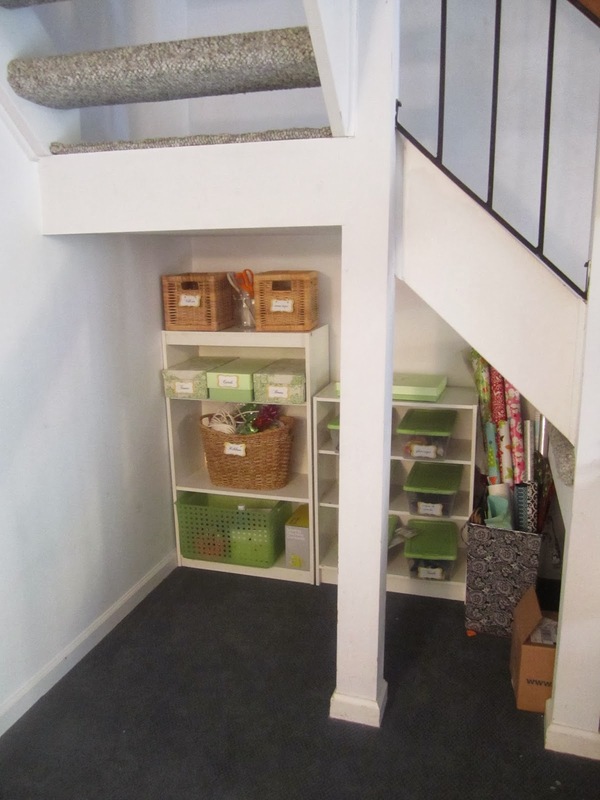 This shelf area, by the way, is Big's toy area on the left two shelves and Little's art supplies on the right. I organized Little's toy area too. All temporary but a great start. I had an old scrap piece of pegboard that I am going to paint and hang behind her kitchen so she can hang some of her kitchen things on the wall (you can kind of see the brown pegboard peeking behind the pink kitchen). And I have an IKEA ledge shelf that I will hang over her baby station. She has asked for hooks somewhere to hang some of her purses, so I'll add some hooks under the ledge. I've had this cubical organizer for Little's toys since I moved in. I need to buy more bins for it. And I moved her little playroom table to the side to hold her small easel and slid her tub of dress-up clothes underneath of it. Now I just have to bring in a larger table for the middle of the room, where she plays with her kitchen and art things. I found one at IKEA and need to make a trip there. I'm putting off the trip to IKEA because IKEA is danger. I took a few minutes to hang the extra curtain panels at the door. 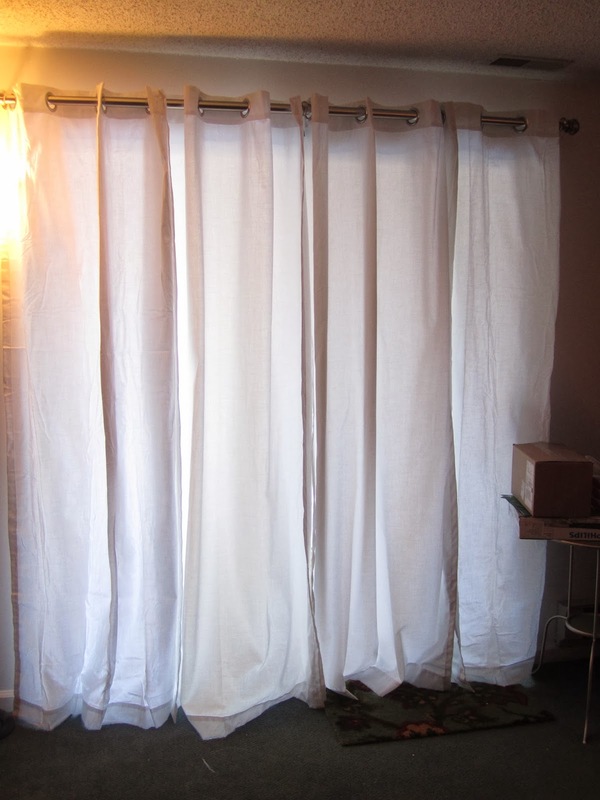 I had two of the grommet drapes hanging, but they just barely covered the window and I didn't like the look, since 99% of the time, the curtains are closed. Months ago, I bought one more set of the drapes when they were on sale at Target, and they've sat unopened since then. Here's a quick before and after. The after looks so much better. I moved around the TV area too. I'm still playing with placement of furniture and I ordered a matching little navy couch to increase seating. Once that arrives, I'll figure out where things will go. The chest is out from the wall a bit because at the time, I was working on setting up the cable, DVD player and Wii. It was more of a challenge than I thought it would be to do this and I briefly considered paying someone to do it. However, I did not give up and figured it out myself. Yay! The rug in the TV area is not staying. I am bringing in a different one. That one is an indoor-outdoor rug and I think it will be better outside on the patio. However, it now looks like this and is a dumping ground for frames (for my stairwell art gallery project) and bags to donate. I need to get this area back under control. So, progress made, but still a lot more to do. It feels really good to have momentum on this bad boy. 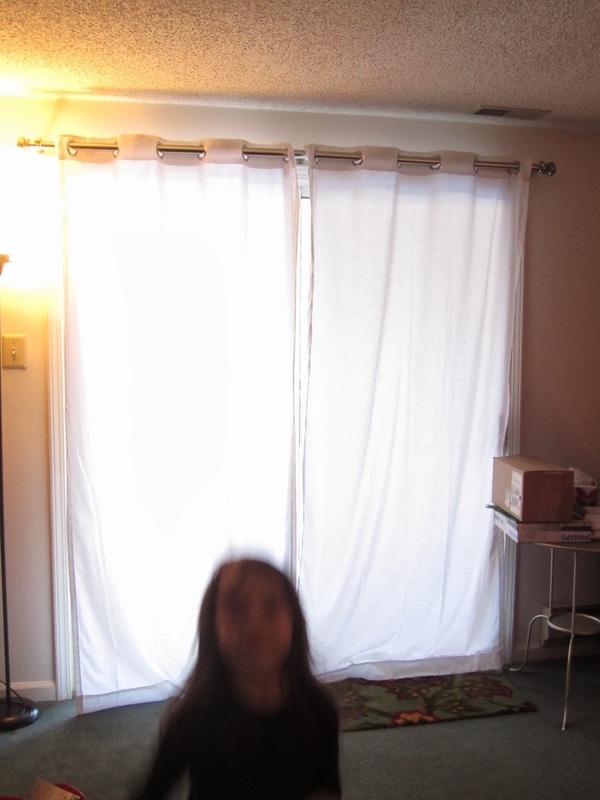 Oh, and as a little post script: here is what happens if you leave your camera unattended while doing projects. This is just one of approximately 324 pictures of various Barbies and their friends. Have a wonderful weekend! Hello and happy morning to you. February is chugging along. 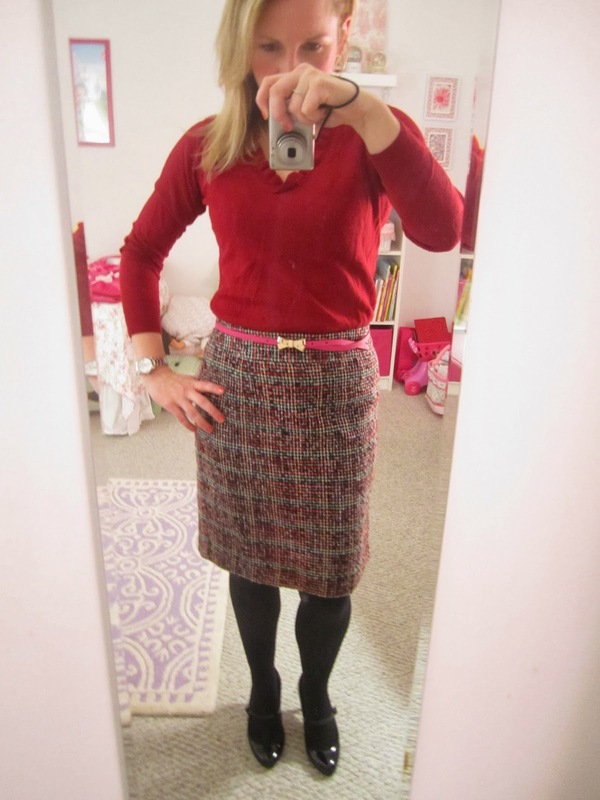 If I'm being honest, the What I Wore post should just be yoga pants and cotton tee-shirts. I've been home a ton with the kids for snow days and that's what I have been wearing. But no one wants to see that. Up today? Some more outfits! Most of these have new pieces. This was a pretty boring outfit without the scarf. And honestly I'm not sure that the scarf really worked. I found it on clearance at Target for about $3.50. I really loved the color and the pretty copper shiny circles on it. I've wanted to try one of these infinity scarves and thought at $3.50 this was a good one to try. It felt a little ... ok a lot ... voluminous on me. But I really liked the pop of color. I will try again and maybe do some online searching on how to wear infinity scarves. I felt like I could store small animals or an extra lunch in there. On one of the recent snow days, I had a meeting at the office. The office was open, but schools were closed. Thankfully, Amy and Bill's kids were off from school and they graciously offered to watch my kids while I went to my meeting. I could have worn a suit but so didn't want to. So I did a modified suit. I wore my black suit pants (from the Limited) with my cream cardigan (Banana Republic). I wore my brand new printed shell from the Ann Taylor outlet - it has red, yellow and black dots on it and a fun ruffle with black piping. I think the shell will look great on its own with a black pencil skirt and a red belt when the weather is warmer. Oh ... boo. The first picture is blurry. Drat. 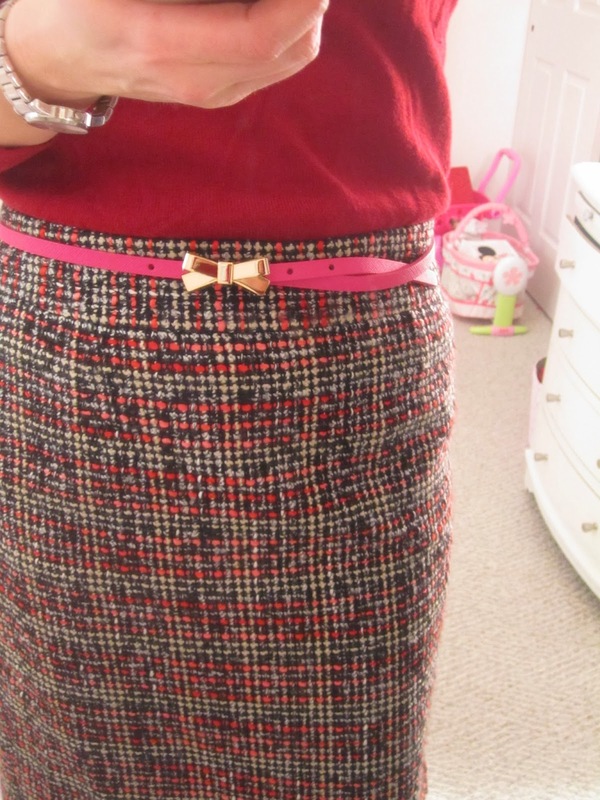 I based this entire outfit around the belt, which was a find from the Banana Republic outlet with Jamie a few weeks ago. I really loved the gold bow and it was a great price. I think I can wear it with some dresses, too. I decided to wear it with my wine pin-tucked blouse that I bought from Loft and pink/red/black tweed skirt from Banana Republic. Oh! And the shoes! The shoes. I found these black patent leather Mary Janes at the Ann Taylor outlet with Jamie. I've been wanting a pair of Mary Jane heels for years now (though, the ones I want are Manolo Blahnik and are pale pink). The ones I want are also about $800 and these were on sale for $30. They're super comfortable and I thought they'd look great with tights. Here they are! I still have a couple more new pieces from the outlets to show off, including two that are emerald green! Stay tuned. 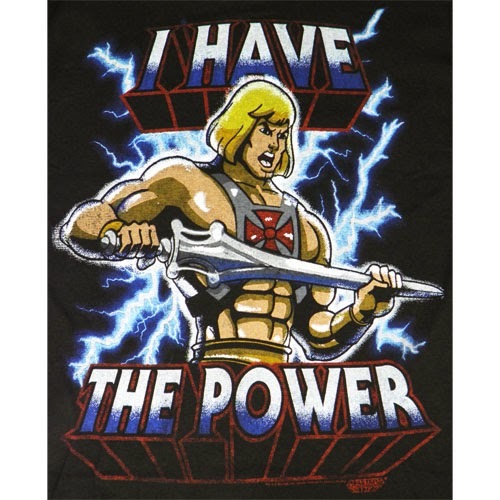 I have to give credit where it's due: Amy texted me while she was on the bike that she felt like yelling all He-Man style "I ... HAVE ... [the] POWER!!!". Truth. So what's a power meter? It's a device that hooks onto your bike that, well, measures your power output. It is a great way to train because you can determine and measure your power and use that as a gauge in training. So, my coach can say: "you should be at X power for endurance; Y for tempo; etc." The only negative, and it is a big one, is now we have to do another round of time trials to set our thresholds. You know how I feel about time trial on the bike. Full on grumpy cat. Swam: 1:10 hours* (2100 yards) *I was supposed to do another swim workout but had to bag it because of snow. This 1:10 includes a 20 minute swim lesson too. My Monday swim was tough. I was tired and felt sluggish. As good and strong as I felt the week before (both in the water and out), I felt sluggish and just tired in every way in the pool Monday morning. My intervals were all a good 10-30 seconds slower than normal. I told my coach, who said if I still felt sluggish in a couple of days to let him know. Luckily I rebounded after a good night's sleep (and going to bed at approximately 8:30 pm). Tuesday's endurance run was fine. I've made peace with the fact that the treadmill is my only option in this kind of weather. And frankly, an endurance run is really not bad on a treadmill even if it's a long one. I just settle in, listen to my music and watch everything around me. The one thing that is both awesome and awful about a long treadmill run is I get to see at least two waves of people complete their entire workouts in the time I'm on the treadmill and new waves come in. Wednesday was a busy day. I woke up super early (i.e., around 4 am) so I could get in my bike before the kids got up. This particular bike is tough and I always hate it until its over; when it's over I feel like I can do anything. It starts with 20 minutes at endurance pace and then I have to do two sets of lactic threshold (or "LT") pace for 20 minutes. LT pace is very hard - it's a tough effort and I have to just put my head down, hang on and pedal. I was really sweaty. Here I am post workout. See the beads of sweat on my arm? Oh that's just a sampling of the sweat. Later that day I had a 2 mile "shake out" run. I did it in late afternoon from my office. It was really cold, but at two miles, I just powered through. Then later that day I met my swim coach for a lesson. It is really amazing how helpful the swim lessons are. Thursday was supposed to be a swim, which my coach considers to be a recovery type workout, but I could not do it because all the YMCAs were closed due to 12+ inches of snow. So I did about 55 minutes on the bike at an endurance pace (meaning: easy, steady, comfortable). The happy part of this bike is that I took some time on that snow day morning and figured out how to set up my TV, DVD player and Wii in the playroom - I was able to watch TV on the bike! Do you know what this means? I can watch HGTV on the bike! I snapped this picture from my phone mid-workout! Friday's run was on the treadmill. This run - I love it when I am outside but I do not like it on the treadmill. But I got it done. Amy had a treadmill run as well, so we grabbed two treadmills next to each other at the Y and ran "together". Bill was also at the Y finishing up a swim workout and came up to say hello when he was done. Go team! Here's my treadmill computer (honestly: I only took this picture so I could remember the data to put into my training program). Saturday's brick was affected by the weather too. This is a tough brick: it's a mix of endurance pace and tempo pace: 30 minutes endurance then 20 tempo on the bike followed by 2 miles at tempo pace and 10 minutes endurance on the run. I decided to do the brick at home: bike on the trainer and run outside. Big mistake. Big. Huge. The bike ride was fine. But the run was not. The roads were icy and slick, and I made it a half mile when I decided to turn the heck around. So, all was not lost. I got in a short, but slow, one mile brick run. But I should have been smart and gone to the YMCA. I hear the weather is supposed to warm up this week! Oh 50 degree temps. Oh ... baby. And hooray! The Frostbite Five Miler is on Saturday! I'm very excited to race, and I have a race plan. I'll probably give a quick overview of the race here in the IMLP recap but then do a separate, full race review later in the week. I'm hoping to run it around a 7:40 pace. Happy week everyone! Good morning! If you enjoy before and afters as much as I do, then this post is for you. The first thing I did was pull everything out. I really like to start with a completely blank slate. I moved my swim bag (the blue and white striped bag in the first photo) to my bedroom closet. Then I did some thinking about what I wanted to put back on the shelves. I thought it made the most sense to keep my bedroom sheets and extra towels up there. 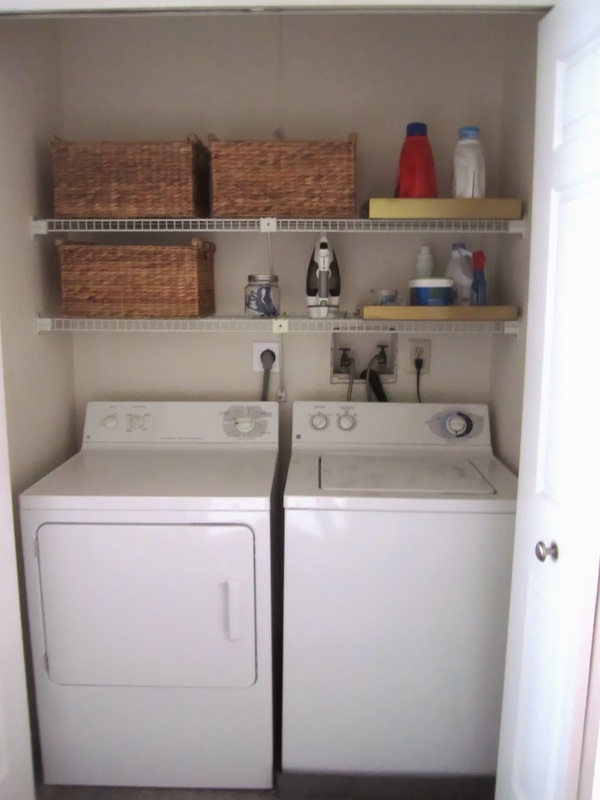 I wanted baskets to hide them and to keep them, and the closet, looking nice and neat and impossibly orderly. So I measured the shelves and figured out how big the baskets needed to be and put the measurements in my phone. I keep a small tape measure in my weekend purse because you never know when you will need it. Jamie and I were at the Christmas Tree Shops in Lancaster when we hit the outlets recently. I found these baskets there. They were the absolute perfect size (I knew this because I had my little tape measure) and they were marked $12.99, which seemed like a steal. Little did I know they were an additional 50% off. They were $6.50 each! Excuse me while I go ALL CAPS on you: THREE BIG BASKETS WERE UNDER $20 TOTAL. The baskets are super nice too. Well made and sturdy. I paid less for all three than most other places were charging for one. Bargain! 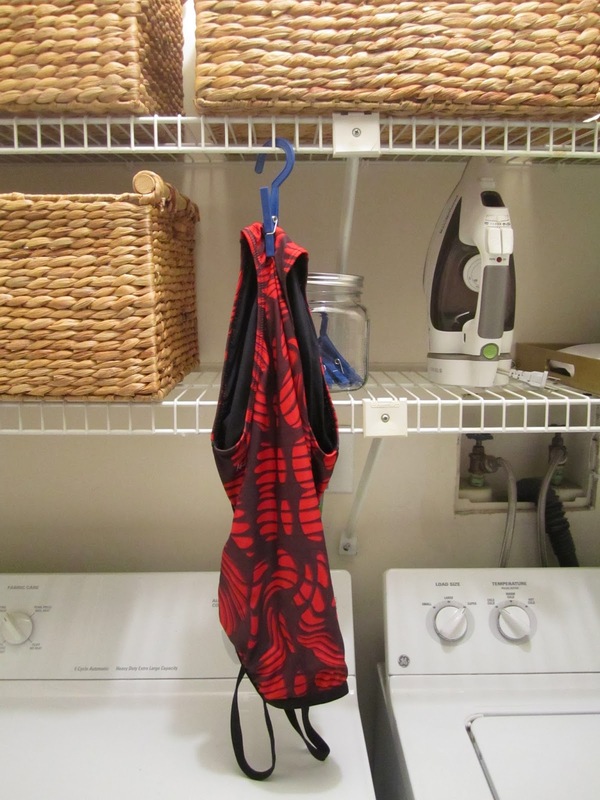 Anyway, I moved the iron to the lower shelf and bought a little glass jar from Target to hold these nifty clothespin-hooks that I use all of the time to dry my bathing suits. Obviously I had to keep the laundry stuff there: the detergents, stain removal stuff, iron, bleach. I keep my detergents on a tray, and I found the gold one on the top shelf at Target last year on clearance. I found another gold tray on clearance at Home Goods. It was scratched on the tray part, so it was on sale for something like $7. But I snatched it up because I knew you'd never see the actual tray. I liked that it matched the other gold tray I had. It lives on the bottom shelf and holds my other laundry necessities. 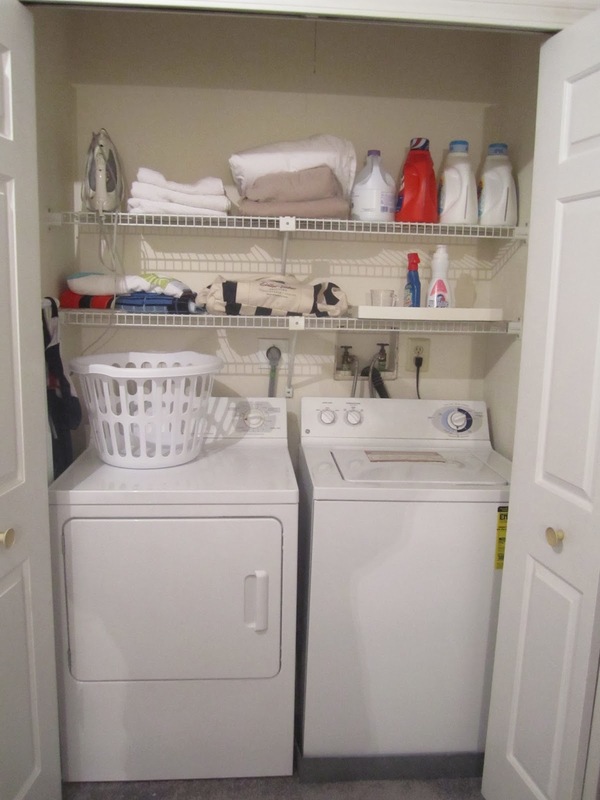 Here's the closet all neat and tidy! Oh, I also took the ugly stickers off the washing machine (notice the yellow sticker on the front and the red and white sticker on top are gone). That alone made a nice difference. As for what is left, my initial plan was to paint the space a pale blue, Rainwashed (Sherwin Williams), which I have on hand. But the more I think about it, the less inclined I am do so. 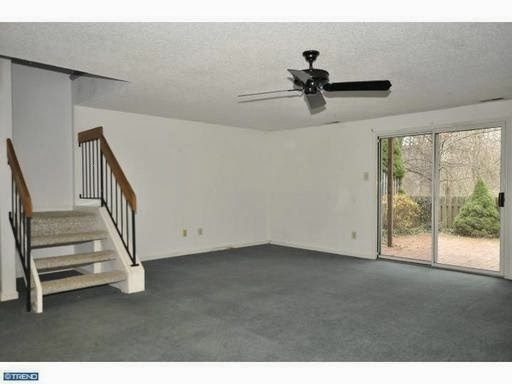 I think this is a good opportunity to challenge myself to do something with white walls, since I am renting after all. Most renters cannot paint, and while I think my landlord would have been cool with a soft blue laundry closet, I am going to try my hand at white. 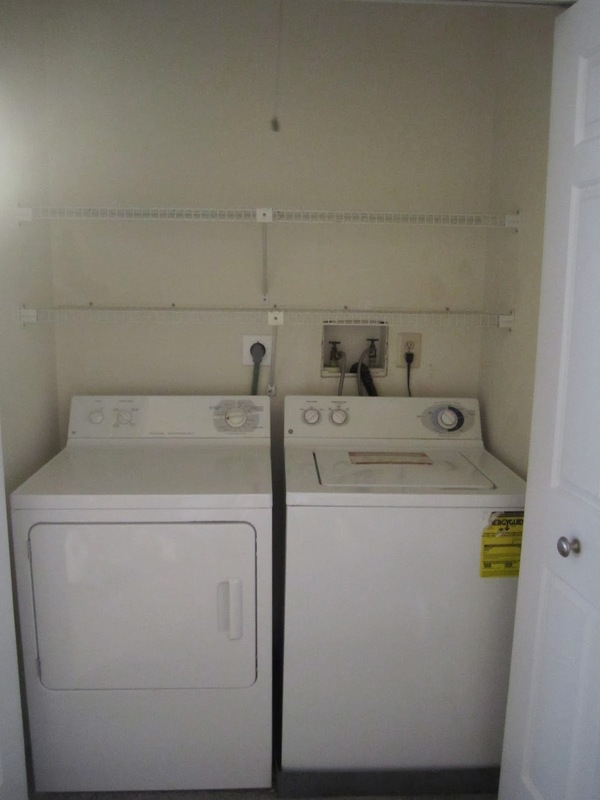 The laundry room is a drab, ugly stained off-white. So I may bust out my Sherwin Williams Alabaster and give it a fresh coat of paint. Beyond that, I am unsure. I may hang some art, I may do a stripe on the wall (that I can paint over when I leave). We will see. But for now, this space makes me happy the way it is.